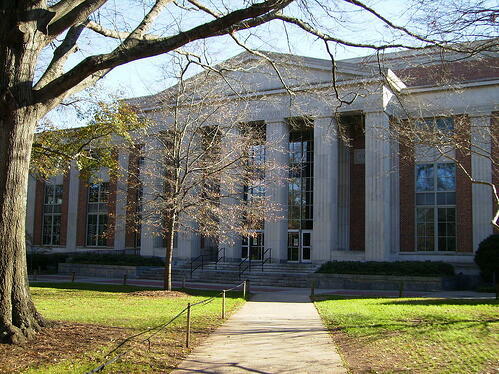 As the oldest and largest university in Georgia, the University of Georgia, Athens is a thriving research marketplace that regularly produces high-level research results and publishes invaluable research papers. Life science researchers at UGA study a wide range of disciplines ranging from Biology to Chemistry to Animal and Veterinary Sciences. Private and public foundations and institutions help support Athens research by awarding millions of dollars annually to help fund researchers, lab projects, and help construct new research buildings on campus. In the 2014 fiscal year, UGA researchers received more than $45 million in lab funding from the NIH, and UGA had a total of over $215 million in life science R&D expenditures in 2012. 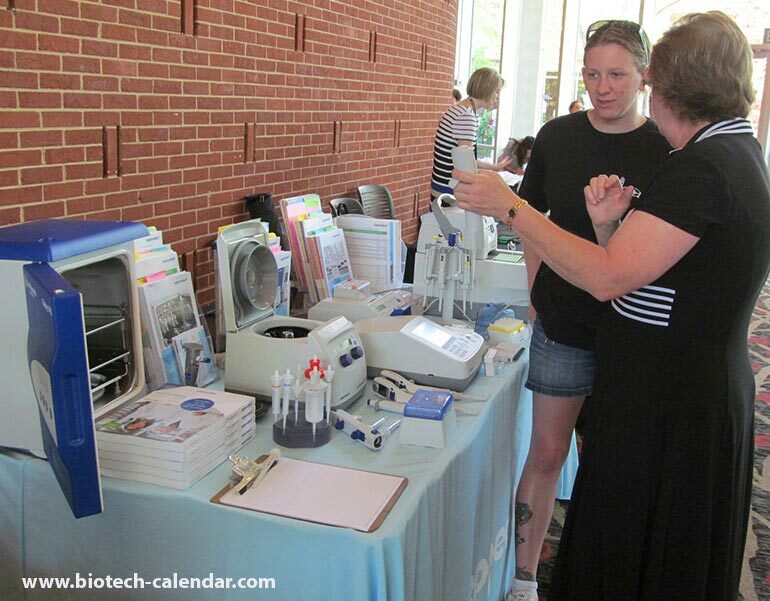 Biotechnology Calendar, Inc. produces an annual BioResearch Product Faire™ at UGA that gives lab supply companies the opportunity to meet face-to-face with life science researchers directly on the UGA campus. Instead of walking door-to-door to research labs and risking getting ignored by researchers who are too busy to speak with you, this UGA event brings different lab suppliers and researchers together in one place. The researchers who attend are there because they want to see what new products and technologies are available to them. They are an engaged and active audience interested in seeing what you have to offer. Discuss, display, and promote their lab products with researchers interested in finding new supplies to use in their labs. Answer questions about and showcase products to encourage researchers to consider using these in their labs. Network with researchers, lab managers, and purchasing agents in the Athens marketplace. Discover new sales leads and set up follow-up meetings with these leads. Recruit new research staff and team members from graduate and post-doc students studying at UGA. 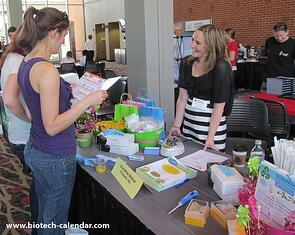 Athens researchers learn about new lab equipment at the UGA BioResearch Product Faire™ Event in 2014. At the 2014 15th Annual BioResearch Product Faire™ Event, 152 researchers, lab managers, purchasing agents, post-docs, and research associates attended. Of these 152 attendees, nearly 27% were decision makers. These researchers came from 30 research departments and 26 on-campus research buildings. Last year a vendor reported connecting with 5 high quality leads for a product that costs $5,000 and is purchased 1-2 times a year (A potential of $25,000 - $50,000 in sales). Another lab supplier reported gathering 25 high quality leads for a $3,000 product that is purchased in about 12 times a year (A potential of $900,000 in sales). "Have at least 2 people in your booth." "Put away your cell phone." "Eager and qualified attendees! Great show." "Well done, good booth traffic." 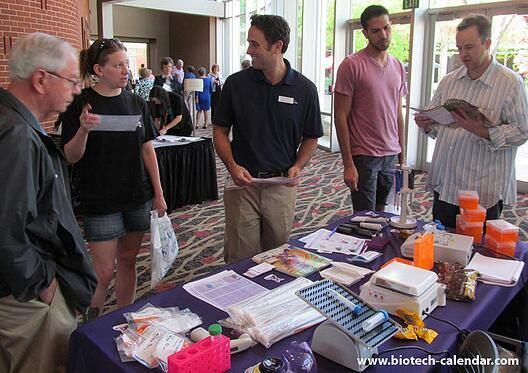 Happy researchers learn about new products at the 2014 15th Annual BioResearch Product Faire™ Event. While in Georgia, why not make the most of your time and money, and meet with the most researchers by bundling events together? We invite you to also consider participating in the 16th Annual BioResearch Product Faire™ Event at Emory University in Atlanta on March 5, 2015, following the Athens event. Researchers in Athens are invited to visit the link below to learn more about attending this event and to pre-register for the event to save time before the show.